Healthy Blood Pressure Support uses a number of ingredients which has been shown in human clinical studies to help support healthy blood pressure. In addition they support healthy cholesterol levels and overall cardiovascular health. 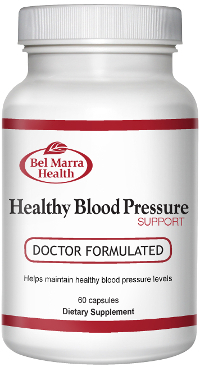 By using a variety of ingredients, the Healthy Blood Pressure Support formula provides comprehensive support of healthy blood pressure and overall health. WARNINGS If you are pregnant or breastfeeding, do not use this product. Consult a health care practitioner if symptoms worsen. WARNINGS Consult a health care practitioner prior to use if you havean iron deficiency or if you have a liver disorder or develop symptoms of liver trouble.